Frank Recruitment Group is a global leader in staffing for IT professionals. We’re backed by TPG Growth, one of the world’s leading private equity firms, who count Uber, Airbnb, Survey Monkey, and Spotify amongst their portfolio. 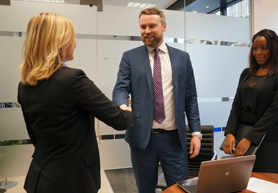 Since 2006, we’ve helped to connect businesses of all sizes with permanent and contract workers; from start-ups in need of a single developer to international enterprise clients building a complete team in a new country. Learn more about the world-class training, accelerated career progression opportunities, benefits, and incentives you’ll get when you start a career with us. 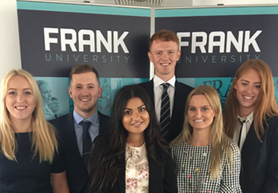 Every new employee at Frank Recruitment Group has an opportunity to become a high earner. From day one we give you the tools to achieve success. We've got many career paths as we're a meritocratic organization that believes in promoting from within. It's up to you how quickly you progress. We provide one of the most competitive packages in the recruitment industry, directly linked to our generous and uncapped commission structure. 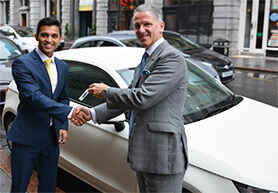 Alongside our competitive base salaries and benefits, we offer an excellent commission structure and some of the best incentives in the industry.